What does it take to be a great dad? It's not as overwhelming as you might think. It starts with having a heart for God and your kids! Sharing practical advice, Jim George encourages fathers to let their kids know they're loved; reveals positive and effective communication techniques; and offers ways to help children grow spiritually. Re-release of SKU: 950870 with new cover. 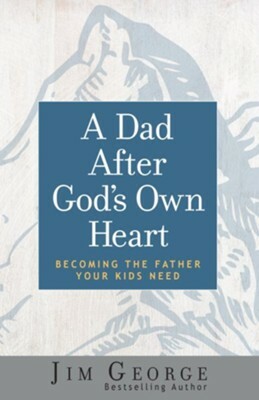 I'm the author/artist and I want to review A Dad After God's Own Heart: Becoming the Father Your Kids Need - eBook.